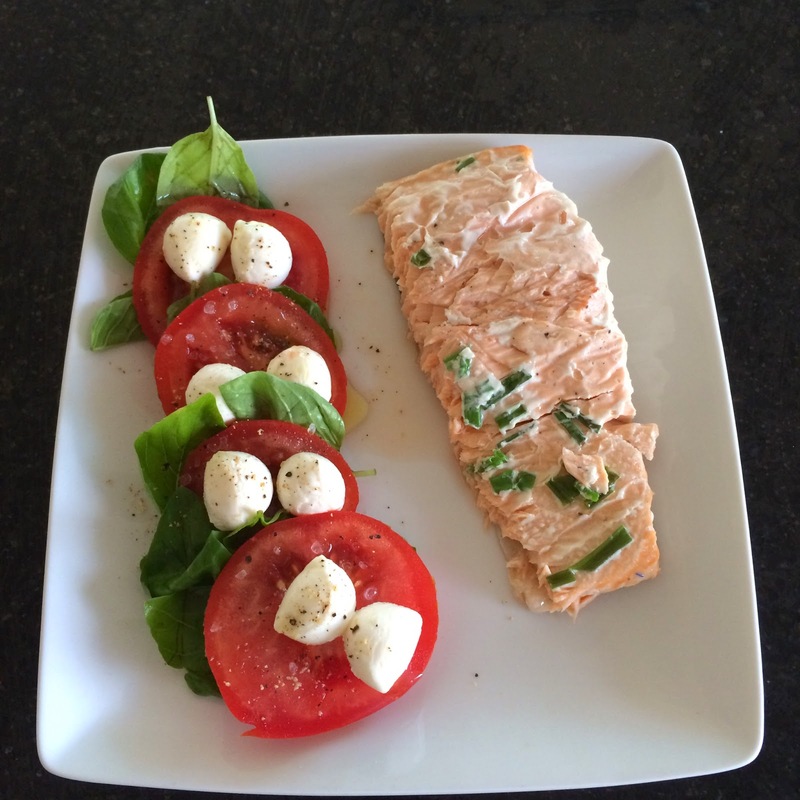 Caprese salad with baked salmon sprinkled with pepper, chives and a sprig of rosemary (we didn’t have dill). I’ll be honest, I got home from the gym, downed a protein shake and ripped open a bag of ginger snaps. 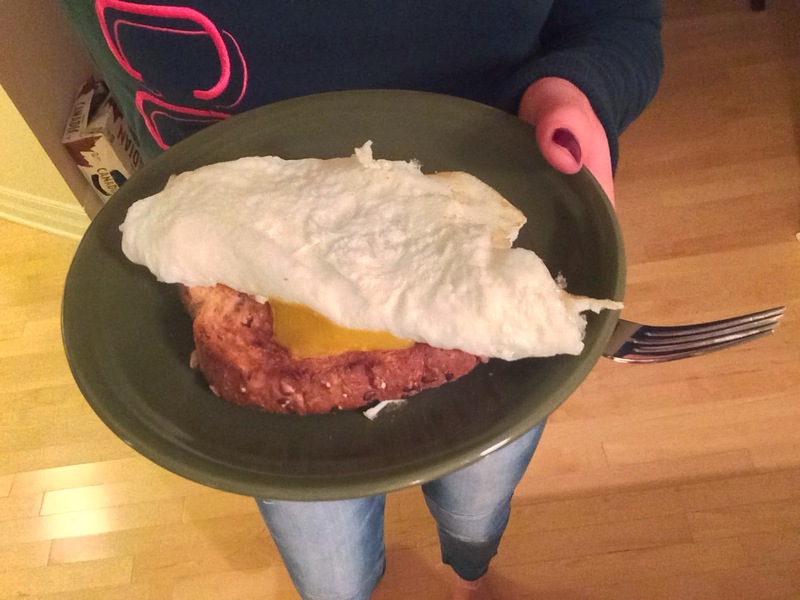 Hmph. 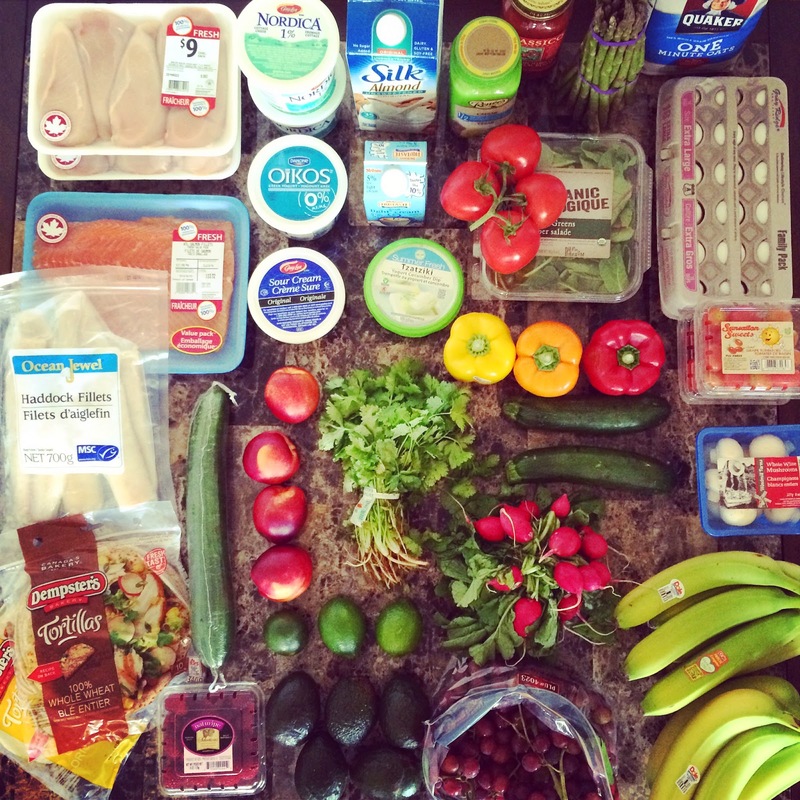 That was not according to the plan. 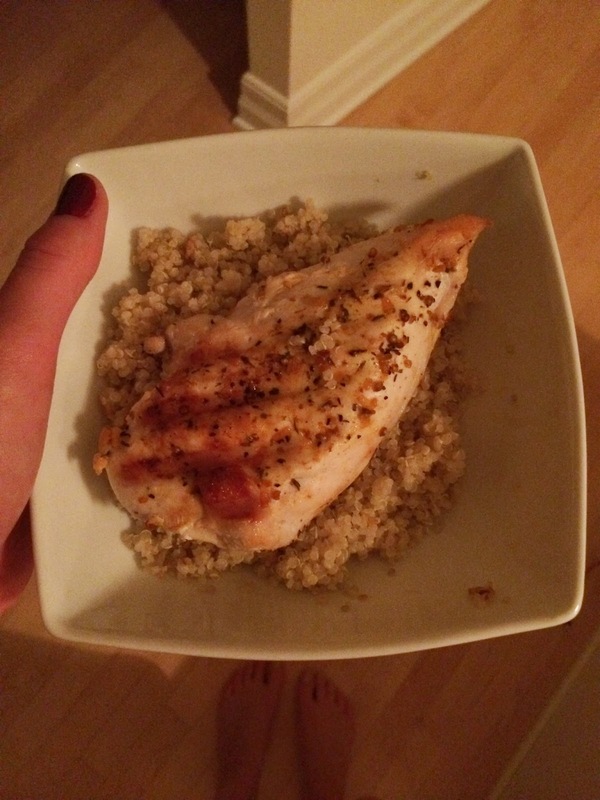 Around 10pm, I cooked up five chicken breast with some MTL spice and some quinoa for a snack and lunch the next day. 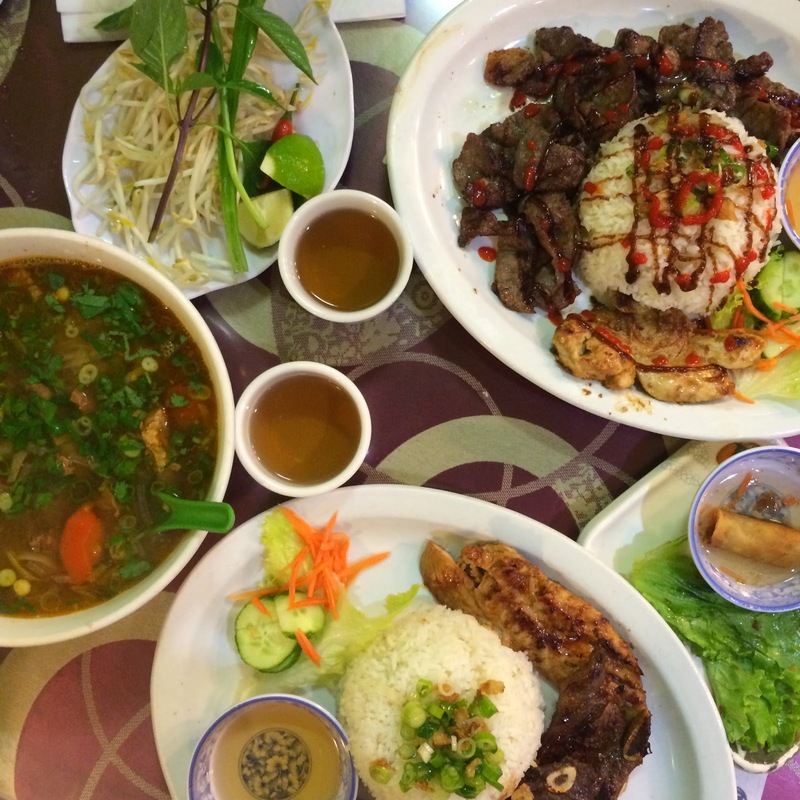 …we went for Vietnamese food around 10pm with a friend. 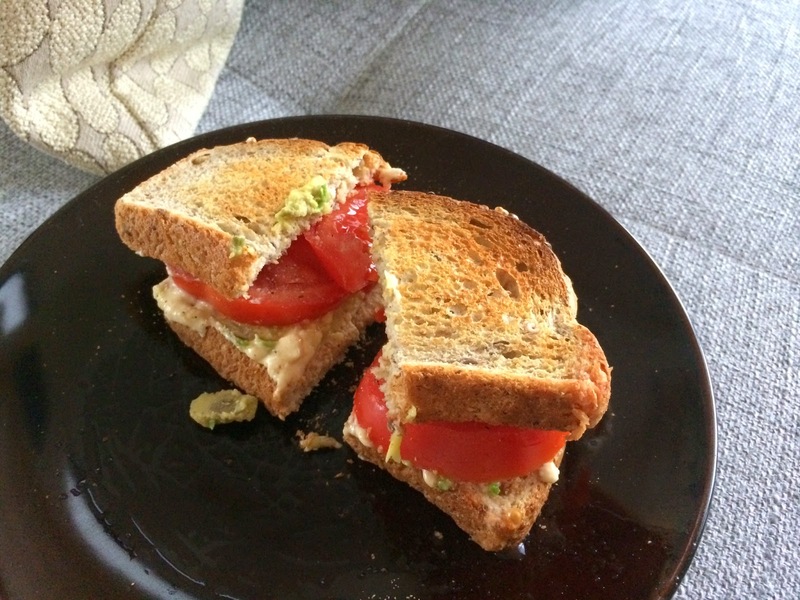 Too tired to cook, I came home and made myself a toasted tomato-avocado sandwich with hummus (non mayo). I try to stay away from bread, but I honestly really love it. 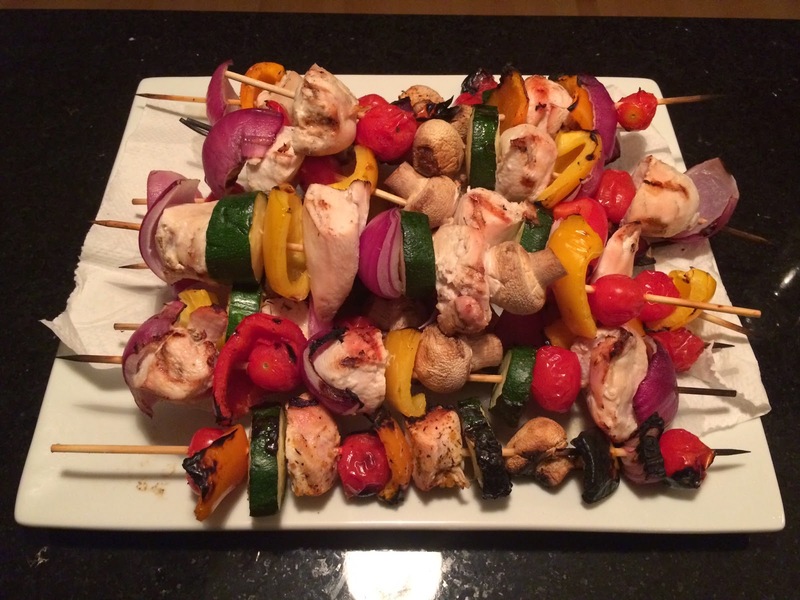 Since the plan for Thursday was kabobs, and Marco was getting home a little later, I threw these together so he’d have some dinner when he got home (well, sort of; he had to do the BBQ’ing). I ended up having two skewers with a scoop of tzatziki. 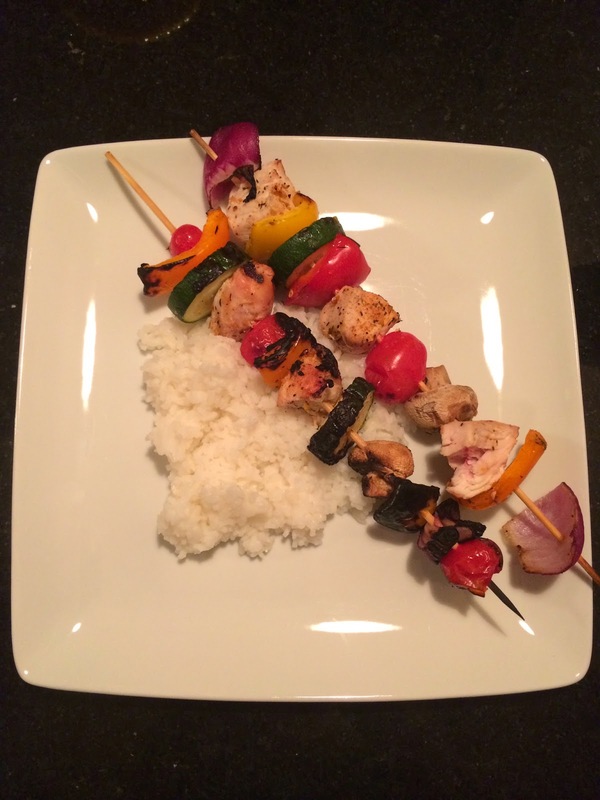 And to show the different between his meals, I cooked up some white rice to go with his skewers.